3. We must stop pollution at its source rather than allowing it to enter our waterways. 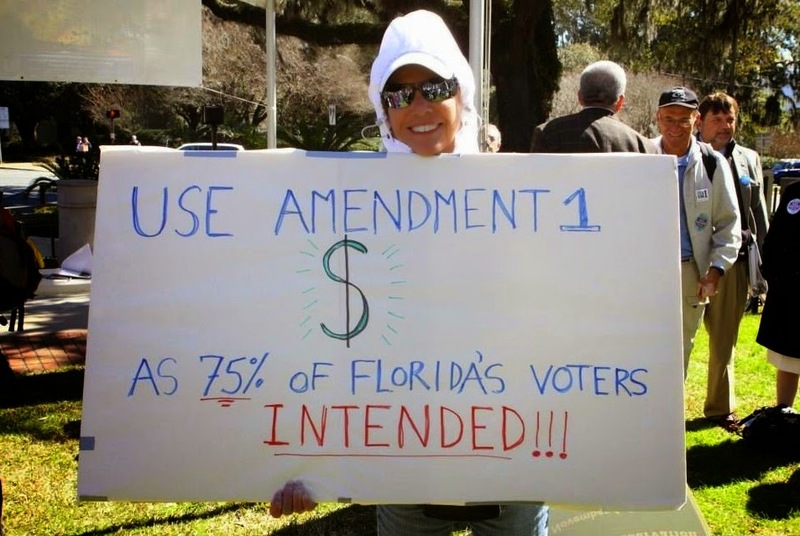 amendment passed by 75% of Florida voters last November. Five buses stopped in ten cities across Florida to pick up close to two hundred activists for a trip to Tallahassee for the day (bus rides were between seven and three hours long one-way)! Others came by carpool and air from as close as the Panhandle and as far as the Florida Keys. Rally goers and speakers came from every region of the state and represented water quality, land conservation, and wildlife conservation organizations; twenty-six speakers and eight St. Lucie River Kidz filled the two-hour agenda. and public lands with decision makers. Photos can be accessed here and here. The event received an enormous level of press attention - see here for 20 plus media hits (that keep on coming). The Sierra Club is strongly opposed to the commencement of oil drilling off the U.S. East Coast. While the latest proposal of the Administration excludes Florida from oil drilling, oil spills off the adjoining coasts, especially off the Georgia coast, would have devastating effects on the environment and economy of Florida. The 2010 Deepwater Horizon disaster very dramatically demonstrated how drilling can destroy tourism and fishing industries and cost jobs. This disaster, America’s worst oil spill, killed eleven people and gushed 210 million gallons of oil into the ocean, affecting 16,000 miles of coastline. Today, at least 14 species, including bird, fish and dolphins are still struggling to survive and the once thriving tourism, fishing and recreation economies of the Gulf still have not fully recovered. Additionally, the endangered Northern Right Whale regularly moves between northeastern coastal waters to the east coast of Florida for calving, and this species would also be seriously threatened by an oil spill. The Sierra Club notes that, since the Deepwater Horizon disaster, Congress has yet to pass a single law which strengthens federal oversight of offshore oil and gas development, drilling safety or environmental safeguards in the event of a disaster. Further, current cleanup methods are still not capable of removing more than a small fraction of oil spilled in coastal waters. Each year routine U.S. drilling operations send an average of 880,000 gallons of oil into the ocean. The Sierra Club continues to oppose seismic blasting for the reasons expressed in our testimony at the Bureau of Ocean Energy Management public hearing in Jacksonville on April 12, 2012, when we testified that there was overwhelming evidence that seismic blasting with the use of airguns causes death and severe injury to marine mammals such as whales and dolphins, and displaces and depresses the catch rates of various species of fish. In order to preserve the environment, economy and quality of life for Floridians we request that any and all authorizations for oil drilling and seismic blasting off the East Coast be denied and negated. This statement was delivered 2/19/15 by the Sierra Club to the Bureau of Ocean Energy Management at its "Open House Scoping Meeting for the Programmatic Environmental Impact Statement for the 2017-2022 Outer Continental Shelf Oil and Gas Leasing Program" in Jacksonville, Florida. Representatives of the Sierra Club, Oceana and the Surfriders Foundation assembled on the riverbank next to the meeting place and spoke with news reporters, and also met and talked extensively with BOEM representatives at their information stations in the meeting room. There was no opportunity for a customary open public hearing, but computers for Internet access were provided for written comments. We urge interested people to provide comments still to BOEM via its information website at www.BOEMOceanInfo.com; a direct route to the comment portal is at this link. As part of our effort to free Florida’s energy grid from dirty fossil fuels, Sierra Club Florida has joined a wide-ranging coalition of conservatives and environmentalists in a campaign to put a solar energy constitutional amendment on the 2016 ballot. The “Floridians for Solar Choice” amendment will let homeowners and businesses get the benefits of solar power - no emissions, no water use, and lower power bills - without the upfront expense of buying and installing a solar system which is a significant obstacle to distributed generation in Florida. The amendment will open the most popular method of accessing solar energy in the country to Floridians. The amendment provides that a company that installs a solar system on a homeowner’s roof and sells the homeowner the electricity it generates is not a “utility” and is not subject to regulation by the Public Service Commission (PSC). Currently, it’s illegal for anyone except a “utility” to sell electricity by the kWh. These contracts between homeowners or businesses and solar system providers are called Power Purchase Agreements or PPAs. “Like” the coalition on FB and encourage your friends and families to sign the petition too. It’s time to leave dirty fuels in the ground. It’s dirty to extract them and their emissions dirty the air we breathe. Reducing carbon pollution is essential to mitigating the long-term effects of climate change, including sea level rise – an issue of major importance to a state with as much coastline as Florida. This is an existential threat to communities of our state. It’s a bonus that transitioning to solar will lower monthly energy bills and create good paying jobs! By Florida law it takes 8% of the total votes in the last presidential election to place an amendment on the ballot so the number for 2016 is 683,149 petitions. And we’re already 1/7th of the way there! The deadline for getting all the signatures in is December of this year (2015) so all the petitions can be checked and verified by the February 2016 deadline for placing the amendment on the 2016 ballot. The coalition includes the Tea Party Network, Libertarians, Republicans, and Democrats; environmental groups including (in addition to Sierra Club Florida) Greenpeace, Clean Water Action, Environment Florida, Ideas for Us, Physicians for Social Responsibility, and ReThink Energy; and business groups including the Southern Alliance for Clean Energy (SACE), the Florida Retail Federation, and the Florid Solar Energy Industries Assoc. This is a common sense issue. No one should be locked into getting their power from a monopoly. Visit the coalition website http://www.flsolarchoice.org/ and send in those petitions! 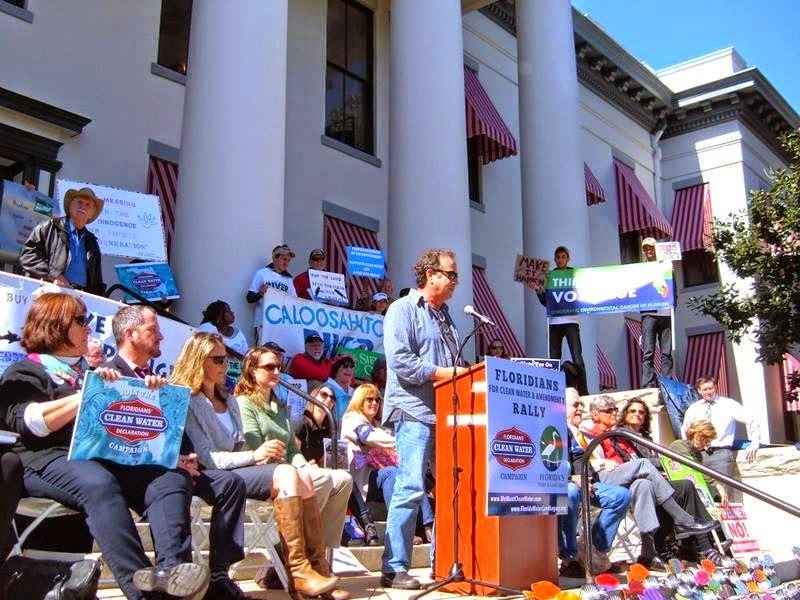 The Northeast Florida Sierra Club Group will join others Saturday, March 7 in a March For Ocean Justice at 11:30 a.m. in St. Augustine. Have your signs and banners ready! The event includes a march from the east side of the Bridge of Lions to the press conference location in the front of the City of St. Augustine City Hall, 75 King Street, 32084. 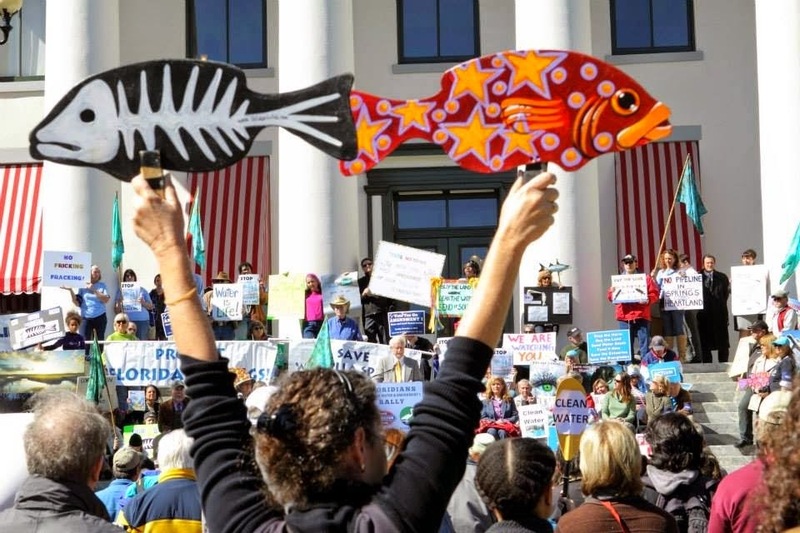 The Environmental Youth Council, Mayor Nancy Shaver and the City of St. Augustine have invited U. S. Senator Bill Nelson, 30+ elected officials and other municipalities, environmental and citizen groups, commercial fishermen, and others to a "March for Ocean Justice and Press Conference", on Saturday, March 7 at noon, in downtown St. Augustine. The event will raise awareness of the opposition to plans for seismic testing and drilling in waters off the coast of Florida and other states (GA, SC, NC, etc.) , and to consolidate and motivate that opposition. We will be taking to the streets to urge the Bureau of Ocean Energy Management and President Obama to reverse the decision to open the Atlantic Basin to seismic testing using sonic cannons, the first step toward offshore dirty fuel development. Learn more about the Obama decision to move forward with seismic testing. The city of Neptune Beach has passed a resolution opposing air gun blasting and offshore drilling in the Atlantic. Thanks to Mayor Harriett Pruett for her leadership on this issue. 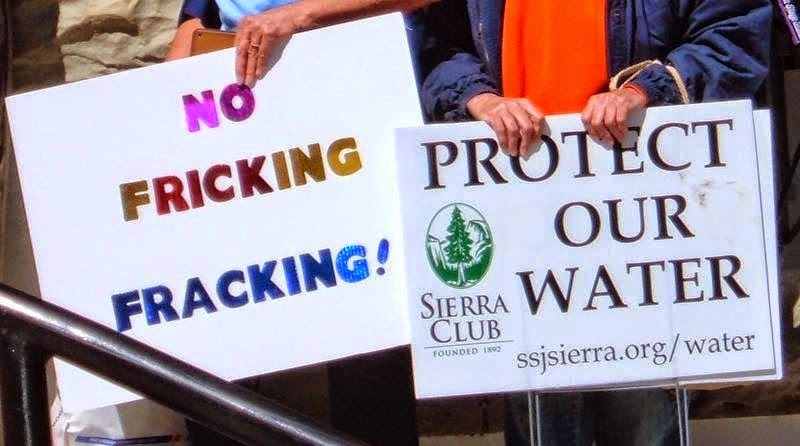 Location: Meet on the east side of the Bridge of Lions at the small park at 11:30 a.m.
For more info on the event, contact Brian Paradise of the NE FL Sierra Club Group at bgpardaise@comcast.net, and Check out the Facebook event, join and invite your friends. Learn more about the threat of seismic testing to marine mammals. 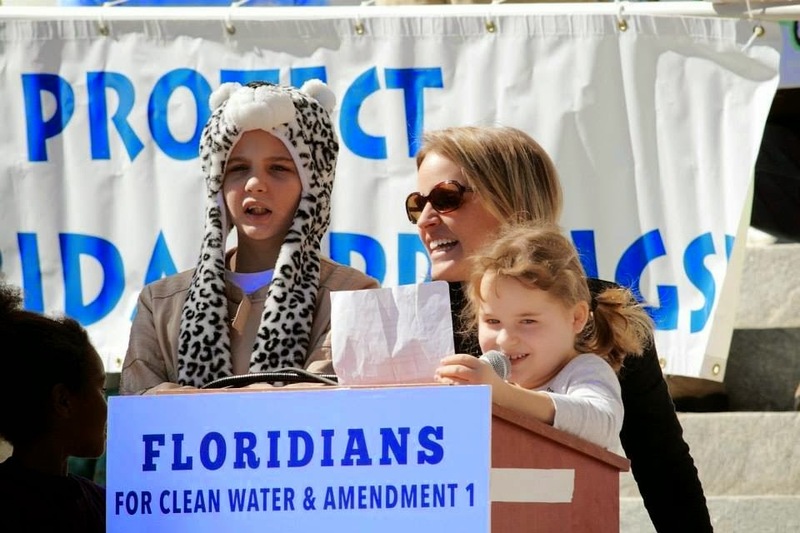 When: Wednesday, February 18, 2015, 11:30 a.m. to 1:30 p.m.
Who: Amendment 1 (http://floridawaterlandlegacy.org/) and Floridians’ Clean Water Declaration Campaign (www.wewantcleanwater.com) activists from every corner of the state. Speakers include: State Representative Michelle Rehwinkle-Vasilinda, State Representative Mark Pafford, Bill McCollum (36th Attorney General of Florida), Estus Whitfield (Florida Conservation Coalition), Maggy Hurchalla (Martin County Conservation Alliance), Jim Stevenson (Wakulla Springs Alliance), Orange County Soil & Water Conservation District Supervisor Eric Rollings, Kevin McGorty (Tall Timbers Land Conservancy), Gary Appelson (Sea Turtle Conservancy), Andy Mele (Suncoast Waterkeeper), Dawn Shirreffs (Everglades Foundation), Katie Tripp (Save the Manatee Club), Leesa Souto (Marine Resources Council), Mark Perry (Florida Oceanographic Society), Millard McCleary (Reef Relief), Chuck O’Neal (League of Women Voters), Cathy Harrelson (Sierra Club), Zach Forsburg (Florida Wildlife Corridor Expedition), Celeste De Palma (Tropical Audubon Society), Preston Robertson (Florida Wildlife Federation), John Scott (Caloosahatchee River Citizens Association), Laura Dailey (Spectrabusters), Shannon Blankinship (St. Johns Riverkeeper/Duval Soil and Water Conservation District), Ryan Smart (1000 Friends of Florida) and Aliki Moncrief (Florida’s Water & Land Legacy). 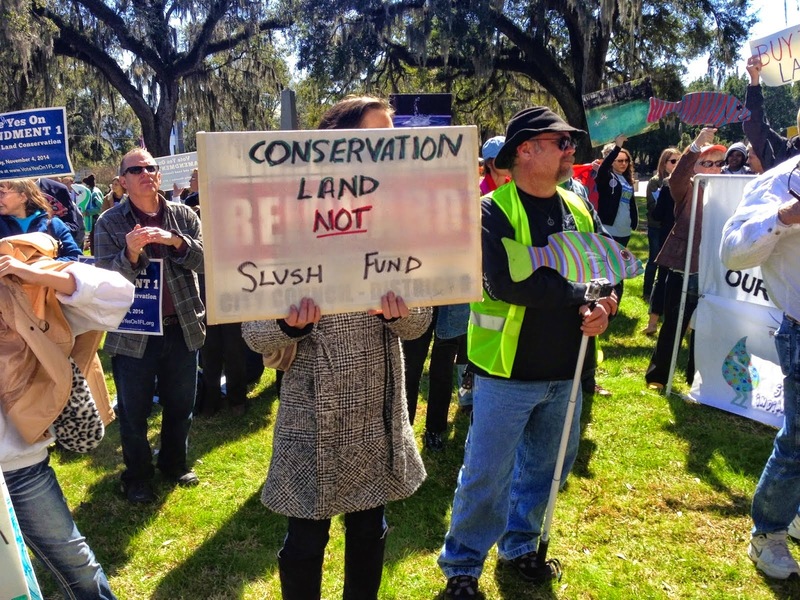 Sierra Club members and supporters helped pack the auditorium at the South Florida Water Management District (District) to protest the Governing Board’s failure to act on the contract to purchase 46,800 acres of U.S. Sugar land south of Lake Okeechobee. The deal, which expires in October, would provide land to build a reservoir – a critical part of the Comprehensive Everglades Restoration Plan -- to clean and send water south. A total of forty-five individuals gave public comment, at times highly confrontational, and to robust applause from the audience. Families and businesses on the coasts can’t endure a repeat of the harmful 2013 discharges from Lake Okeechobee when water levels were too high. Inexplicably, however, acquiring this land in the Everglades Agricultural Area (EAA) that could provide a permanent solution was left off the Governing Board’s agenda. In response, the Governing Board defended their inaction by pointing out multiple considerations that they must incorporate into any effort to send water south. Several board members agreed with James Moran’s characterization that the public just doesn’t understand the constraints that complicate their decision making. Moran also characterized the environmental community as "duplicitous" in indicating otherwise, and advised the crowd to "learn the truth." Everglades restoration is complicated. It has always been complicated, and it will always be complicated. What is simple is this: we have a once in a lifetime chance to secure vital lands in the EAA that expires in October. This land will never be cheaper than it is now to provide a permanent solution. We already have a contract on the table. We have the money. And actions speak louder than words. Add your voice by calling the District at 561-686-8800. Tell them that buying the U.S. Sugar land is the most important thing they can do this year: don’t let it slip away while our children pay the price with more lost summers. (To leave a comment after hours, press #4.) You can also send an email via the District’s Contact Form. Unless dedicated Floridians like you speak up for clean water as a human right, the natural lands needed to protect our water quality in Florida will remain unprotected. 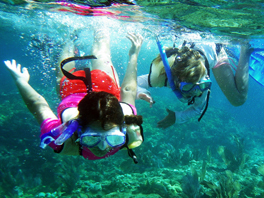 Florida's life-giving waters provide ecological, financial, tourist and wildlife benefits for all Floridians, and without clean water, we can not sustain our ways of life. 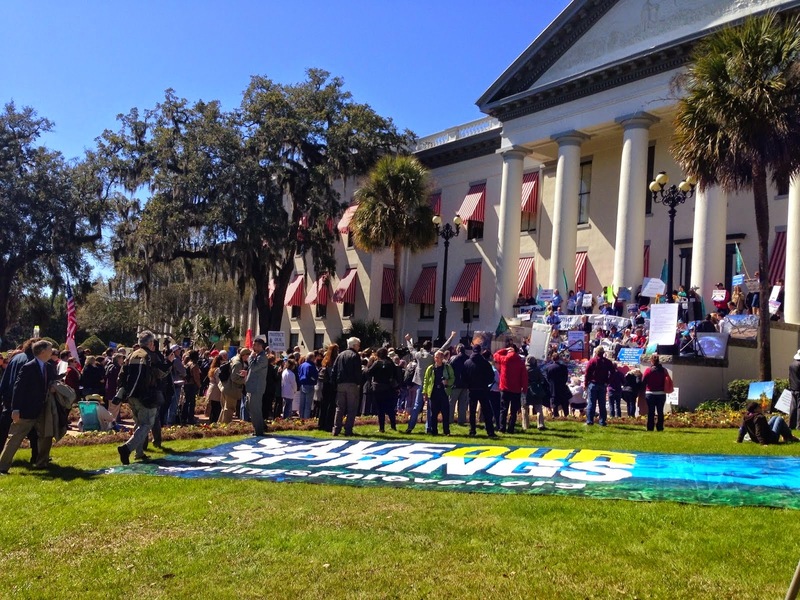 Thousands of people have signed the Floridians' Clean Water Declaration and millions of Florida voters said yes to Amendment 1 this past November, now it's time to take our message directly to Tallahassee! Please join us Wednesday, February 18 on the front steps of the historic Old Capitol in Tallahassee! Fight for the life that clean water provides! There are even buses from 10 locations across the state to help get you there! Find the list of available pickup cities and online reservations here. Act now, buses will fill up fast! We hope to see you out there with us next Wednesday, and as always, thank you for all you do for the environment. 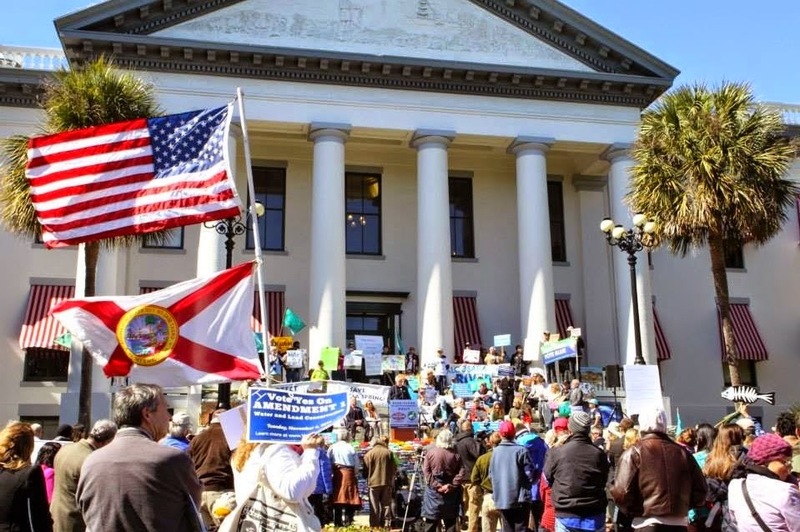 On February 18, Floridians' Clean Water Declaration and Amendment 1 activists will join forces for a rally on the front steps of the historic Old Capitol. After the rally, we'll spread out over the Capitol for the unique opportunity to bring our water stories directly to public officials and the state's highest water managers! Buses from 10 locations across the state will help get you there! Find the list of available pickup cities and online reservations here.